At Family Dentistry of Belleville, we have developed a reputation in this area as a patient centered, customer service driven practice. We cater to families and all ages, and do so in a relaxed comfortable environment where everyone is welcome! We serve our patients with a blend of kindness, thoroughness and a gentle touch with the goal being optimal oral health. 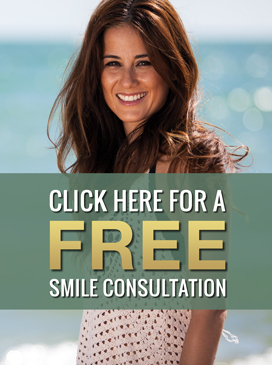 “I went into dentistry because of the great experiences I had as a young child. I wanted to be like the dentist of my youth who I admired. I received my B.A. in biology from the University of Michigan in 1973. I changed careers at the age of 33 to pursue the goal of becoming a dentist. In 1987 I graduated from the University of Michigan and started my private practice in Belleville immediately after graduation. I have enjoyed working in the Belleville community for the past 25 years. Community and giving back are a very important part of the work we do at Family Dentistry of Belleville. I live in Belleville, therefore the people, the community and my fellow business owners are very important to me. I am involved with the Belleville High School golf team as a volunteer coach and mentor. I enjoy golf, traveling and time with my family. I also love U of M Football and many other sports. My wife Maurena and I have four children; Brett, Heather, Koda and Heidi, along with four grandkids. The love for my family is what has driven me thus far in life and in my career. I truly got into this field to help people to lead healthier, happier lives. My staff shares this vision and we look forward to each day we can make a difference in someone’s life. My philosophy is early prevention is key. We all go through phases in our life that affect us in various ways, but I would love to, at a minimum, alleviate as much dental hardship as humanly possible. If we address the small things before they become big problems you will be happier and healthier for it. Dr. Bishop graduated from University of Michigan School of Dentistry in 1998. After graduating he moved to Coastal Maine where he practiced dentistry for over twelve years. Even though he supports his Wolverines he is all about his Central Michigan University Chippewaâ€™s. More recently Dr. Bishop moved back to Michigan where he has been working in Livonia and working with us part-time. He is easy going, patient, down-to-earth and excellent with children. Dr. Bishop also works exceptionally well with patientâ€™s who has severe anxiety or medical issues. Thank you for considering us as your dental care provider. We are committed to all of your treatment being successful. For any other questions regarding ourÂ dental services in Belleville, Michigan, pleaseÂ contact us hereÂ or call us atÂ 734.699.1808. We proudly provide our dental services for individuals in Belleville, Romulus, Ypsilanti and other surrounding cities.